The Saltwater Angler staff is always available to help with any of your fishing or tropical clothing needs. Here is a series of Frequently Asked Questions about Key West and about fishing in the Florida Keys. 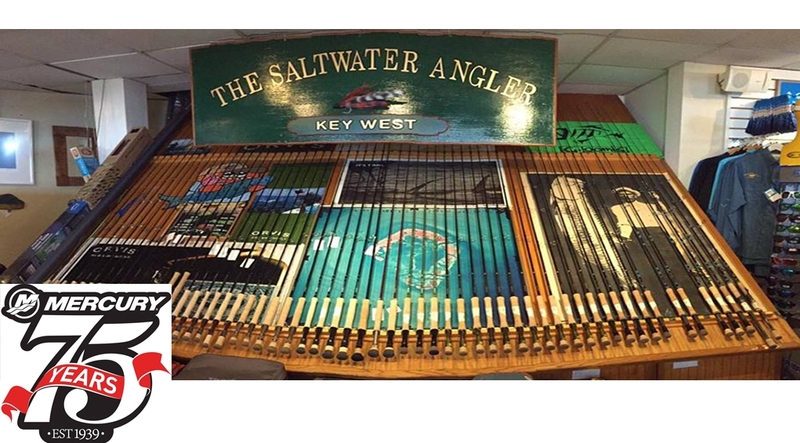 The Saltwater Angler is on the waterfront and has a view of Key West Harbor. We are located at the Hilton Resort and Marina. Please view our locationpage for more details on how to get here. Call us so we can get all the necessary information to find the right captain for you and get all of your contact information. We will take it from there and call you back with your guides name and number. We will also email you a confirmation as well as an equipment list. How do I pay for a fishing trip? Call The Saltwater Angler to book your trip. We will charge 15% to your credit card to reserve your guide. The balance you pay directly to the guide at the end of the trip in cash or check. All you really need to bring is a good pair of sunglasses, a hat, sunscreen, lunch and plenty to drink. We will email you an equipment list with your trip confirmation once we have found you a guide. Our guides will provide all the equipment necessary including flies, leaders, etc. to fish. But if you have your own, then I would recommend you bring it. You are familiar with it. You know how it behaves under different conditions, and that can make all the difference. You should also practice your accuracy and distance before coming. 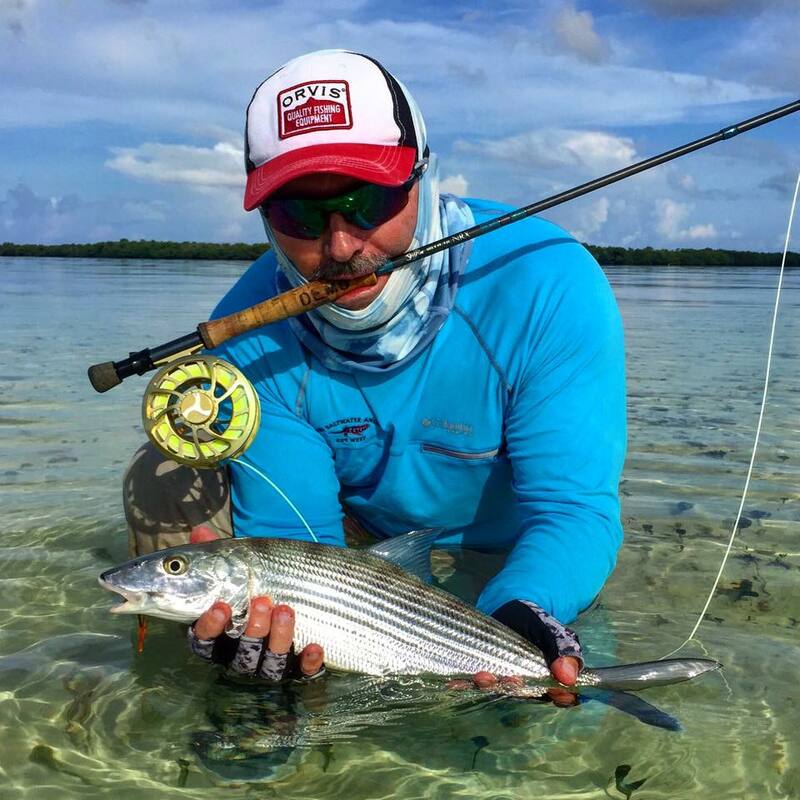 What size / weight rod should I use for bonefish in the Florida Keys? The average bonefish in the lower keys weighs around 7 pounds, with many over 10 lbs. caught so you need a rod with some backbone to handle those fish. Most people use a 9, 8 or 9 weight fly rod depending on the weather conditions. An 8 wt. is ideal, especially for the calmer days. For the windy days a 9 wt. helps cut the wind better and put the fly where it needs to be. What size / weight rod should I use for permit in the Florida Keys? The ideal rod for permit is a 9’ 10 wt. It is easier to turn over the weighted grab patterns one throws with a 10 wt. than a lighter rod. A 10 wt. rod handles the wind better, and believe me, when fishing for permit, you want a good breeze blowing...5 - 10 mph is perfect…15 mph is not bad. What size / weight rod should I use for tarpon in the Florida Keys? The rod you choose depends on the size of tarpon you are targeting. For “baby tarpon” in the 30 - 60 pound range a 10 wt. rod will do. For the bigger fish, 80 - 150 pounders you will want an 11 - 12 wt. rod. A 13 wt. rod comes in handy with fish over 150 pounds. What type of reel do you recommend for fishing the saltwater flats? Flyfishing in saltwater is very hard on your equipment, therefore I would start with a reel that is machined from solid bar stock aluminum. Most manufacturers use aircraft grade aluminum. Next, I would recommend that the reel be a large arbor reel. I recommend this for two reasons. One, with a large arbor reel you have faster line retrieval when fighting bigger fish; two, with a large arbor reel the fly line will have less memory than with a small arbor, and your line will not look like a spring laying on the deck of the boat. Next, the reel needs to hold at least 200 yards of backing for bonefish and permit and for those bigger more determined fish that you might encounter, 300 yards is the minimum. How long of a leader do I need to use? The length and pound test of the leader varies with the wind. On Calm days I would recommend that you start out using a 10-12’ leader for bonefish and tarpon. If these fish seem to be spooking very easily, I would go to 14-16’ leader to get more separation between the fly line and fly. On permit you need at least a 14’ leader due to how easy these fish spook. On windier days you can shorten the leader depending on how much chop and surface disturbance there is. How far do I need to cast to get a chance at catching these fish? You need to at least cast 50’ quickly and accurately. If you can reach 65-75’ you chances for success increase exponentially. Just remember, the wind will more than likely be blowing 10-15mph, so it helps to be able to double haul. Another helpful tip to increase your chances, is to be able to cast the same distances just as accurately on your back cast. What is the best way to clean my equipment? I would suggest that every time you go out for a day in saltwater to clean your equipment. Start by soaking your reels in warm soapy water. Do not use pressure because all this will do is force salt and sand into places you cannot clean. Afterwards rinse with clean water. I would also wipe down the fly line with warm soapy water for better casting the next day. Do the same with your rod. How long are your trips and when do they leave the dock? Each trip is personalized for the angler, so the departure time is left to you and the guide to decide. Generally, a full day trip is 8 hrs. 3/4 day is 6 hrs, and a half day trip is 4. Not when you are fishing with one of our licensed guides. If your plans change, and you are not able to make it, you will lose you deposit unless we are able to reschedule your guide for the time of your trip. If your trip is canceled due to bad weather then you will be refunded your deposit. How much do I tip the guide? Tipping is not mandatory, but it is greatly appreciated. 15 - 20% would probably be the norm.